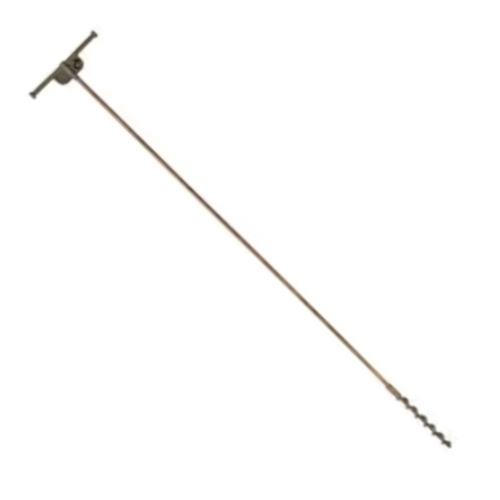 Designed for easily establishing a temporary ground point. Constructed of 5/8" diameter copper weld rod with a 12" bronze handle. Auger screw for easy penetration. Overall length is 74".